The Death Star has left without us! Now what are we gonna do? BOOKA Storm Trooper has a hotline to the Imperial Army Recruitment Department, how many Storm Troopers do you need for your event? Seriously, are you getting a bit tired of Star Wars yet? The answer of course is… NO! Not in the slightest. 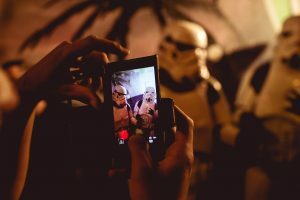 The worldwide smash hit movie Star Wars has caused a massive resurgence with old and new fans and is still getting more popular on a daily basis. 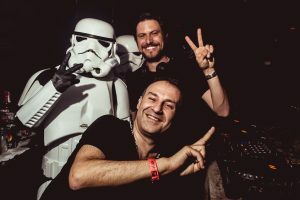 Storm Troopers are still uber cool and look the business at charity , private and corporate events,they never fail to bring some excitement and make people smile. Continue reading The Death Star has left without us! Now what are we gonna do? Hire StromTroopers: Star Wars is back and it’s not going away, ever. The new wave of young fans along with the die hard collection of fanatics around the world are combining online and offline to make this the biggest movie and adventure of all time! You can hire StormTroopers online now for your party or event! Star Wars is a piece of Sci-Fi history to actually come to your house and entertain you, you can relive the fun of the movie and really thrill your guests by hiring StormTroopers as greeting hosts. Continue reading Hire StromTroopers: Star Wars is back and it’s not going away, ever.